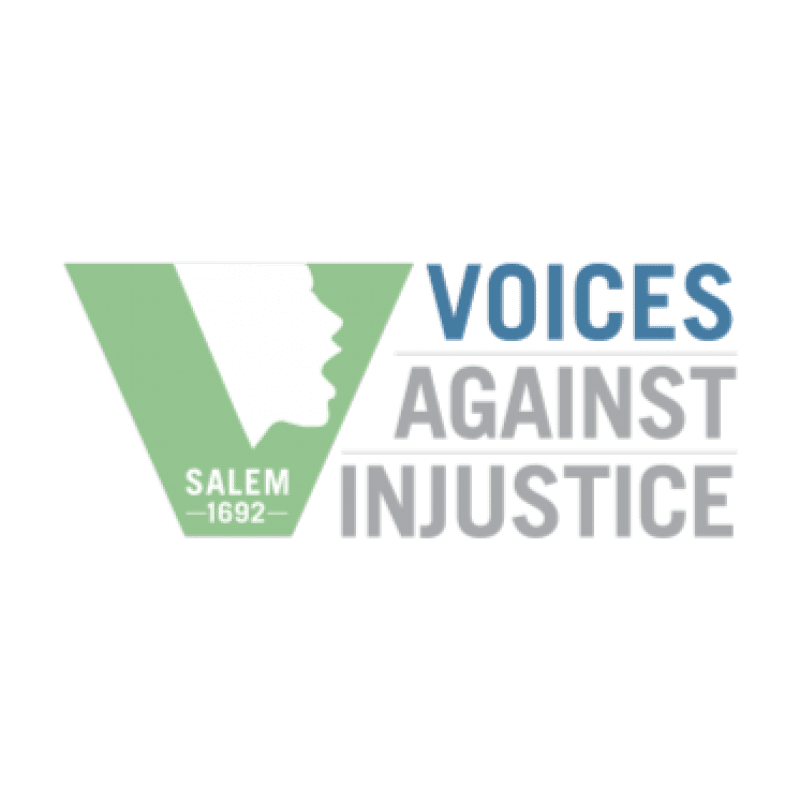 The mission of Voices Against Injustice (VAI) is to promote awareness, understanding, and empathy in support of human rights, tolerance, and social justice. This is done through educational programming, stewardship of the Salem Witch Trials Memorial as a place of reflection, and by awarding and celebrating contemporary champions who embody the foundation’s mission. There are a number of ways to support Voices Against Injustice. In addition to providing a donation or becoming more informed about issues relating to human rights and social justice, you (anyone!) can volunteer in a number of ways. Provide assistance to the Memorial Committee on the oversight of the Salem Witch Trials Memorial. Interact with tourists visiting the Memorial, providing them with a deeper, more meaningful experience, by encouraging them to treat the Memorial as a place of reflection. Contribute ideas for the monthly newsletter. Volunteer to help at VAI events. Volunteer to hand out information cards or put up posters. Join an VAI committee…Education, Development, and Memorial are just three. Encourage the submission of applications for the annual Salem Award. Suggest ideas for lectures or symposia related to human rights and social justice. Develop suggestions for social events to build awareness. Forward recommendations on educating school children about human rights and social events. Provide linkages for the VAI with other human rights and social justice organizations. Assist in fundraising efforts by connecting VAI with potential resources and suggesting grant makers who support social justice. For more information, contact committee@voicesagainstinjustice.org.